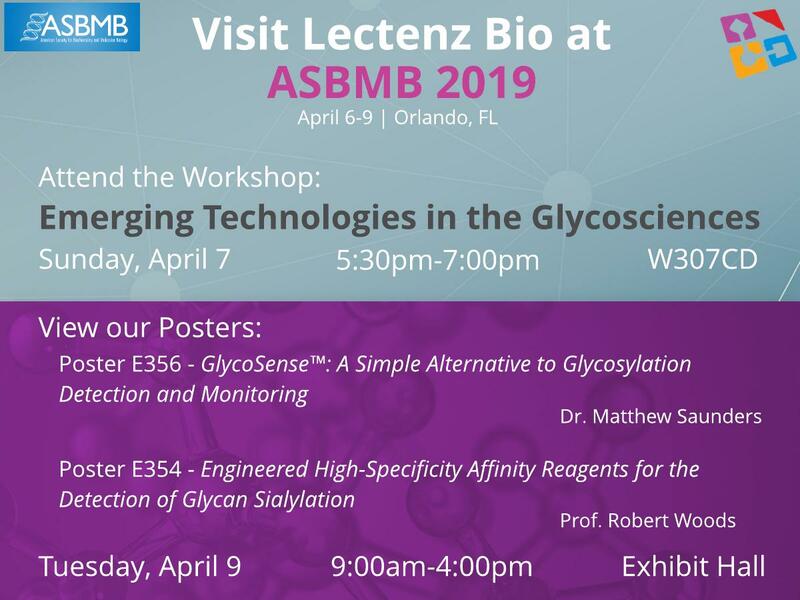 Dr. Matthew Saunders and Prof. Robert Woods presented two posters, GlycoSense®: A Simple Alternative to Glycosylation Detection and Monitoring, and Engineered High-Specificity Affinity Reagents for the Detection of Glycan Sialyation at the 2019 ASBMB Annual Meeting. Lectenz Bio also participated in the Emerging Technologies in the Glycosciences workshop on April 7. Learn more about ASBMB 2019 here.